Moving to the Detroit suburbs as a 14 year old Arsenal fan from Surrey, England was both an intriguing and intimidating venture. In the late 90’s Detroit was still barely hanging on to it’s previous glories established by the ‘Big Three’ motor companies that earned it the nickname ‘Motor City’. This giant city’s rough edges had been described to me by many that claimed to be from the city, but I soon realized that saying you’re form the city and being from the city were two completely different things. As the momentum of Detroit’s colossal fall from grace increased, people’s willingness to associate themselves with the city began to wane, while disdain for the Motor City simultaneously grew louder and louder. Founded by the French in the 18th Century, Detroit was one of the first major U.S. cities to be so efficiently humbled by the blight that was brought on after the recession of the early 2000’s. Almost a quarter of a million people fled the city in just a few short years but it didn’t stop at 8 Mile Road - the economic struggle and population decrease was felt like a shockwave throughout the suburbs surrounding Detroit and it was clear that the the future of this once great city would be a portrait of both struggle and determination. When a city hits rock bottom it takes a certain type of person to embrace that moment of weakness and hold onto it for dear life, investing emotionally in it’s eventual rise back to glory. The core of the city still remains - the people, the culture and the history, even if it did take an immense blow. 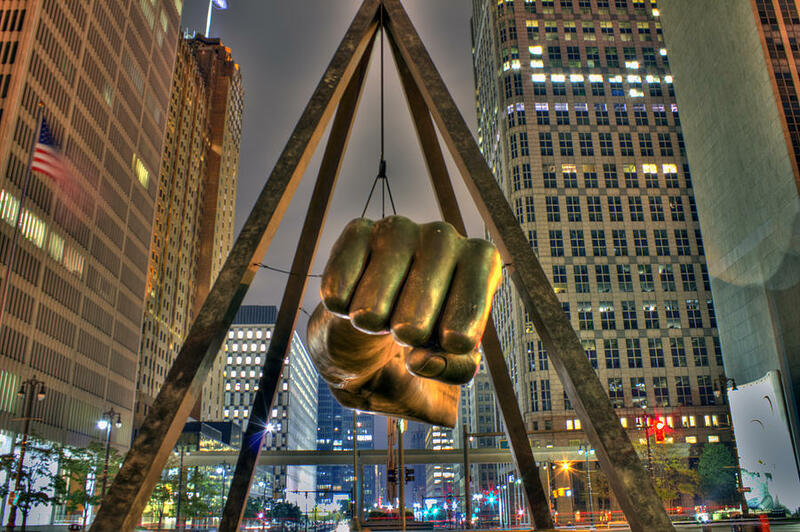 It’s that sustain and passion that inspires people to step back and appreciate Detroit for what it truly is, and motivates others to not only begin to utilize the city once more but to put back into the city to help it grow again. The recent injection of youth has given a city that already oozed cultural history, a boost in artistic appeal and a place for creative personalities to propogate. While Detroit began to start again, Football (Soccer) was beginning to make it’s mark in the United States. The most popular sport in the World got its start in America with the 1994 World Cup being held in nine cities across the nation. While Detroit was not picked as a destination, the Pontiac Silverdome, just 30 miles north of the city, became the first indoor stadium used for a World Cup match. The summer before the 1994 World Cup saw the founding of the countries first Professional Soccer League, the MLS. However, it wasn’t until 2007 when David Beckham joined the Los Angeles Galaxy that the league caught the eye of the international fan base and made it’s resurgence in popularity. The 2010 World Cup got the attention of a new generation of fans in the United States and Detroit, after failed attempts at establishing teams, reacted quickly by starting an amateur club by the name of Detroit City F.C. in 2012. 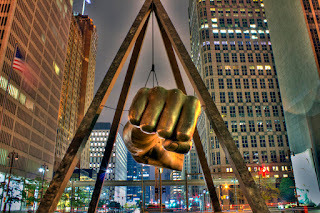 The fan base was immediately encouraging and by the time the 2014 World Cup came around Detroit had established itself as a major scene for football fans. The English Premier League had already established itself as one of the top league’s in the World, so it was no surprise when Supporter Groups began popping up in and around the city of Detroit. Local bars began to display flags and scarves associating them with certain teams, with popularity only increasing when NBC recently dropped one of the biggest TV rights checks in history and began showing every single Premier League match. Perhaps it’s the unknown that attracts so many to the sport, but if you’ve had the opportunity to take a trip to one of these bars during an EPL match then you’ll agree that it’s the undying passion and pride that is so contagious. Arsenal Detroit is fairly new in terms of being an official supporters group, but the growth in such a short time has been staggering and so impressive. Most recently, Arsenal Detroit amassed close to 150 fans for the FA Cup Final on May 30th, which they won in convincing fashion for the second year running. The crowd and the singing is enough to draw you in, but it’s the real sense of camaraderie that keeps you there. The diversity of this Arsenal Detroit group is so encouraging, and for one day it doesn’t matter who you are, what you look like or how much money you make. A hundred football fans don’t make a city, but if this group of people are any indication of how far the City of Detroit has come and where it’s going then I am proud to be a part of both. A truly inspiring city. Detroit.